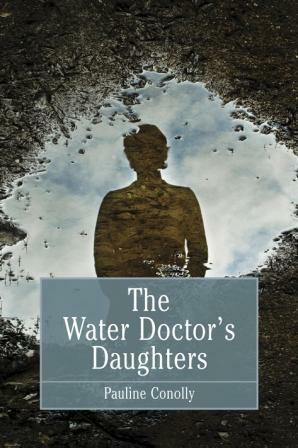 The Water Doctor’s Daughters is the fascinating but tragic tale of wealthy 19thC. water-cure doctor James Loftus Marsden and his children. The girls grew up knowing some of the most famous personalities of the day, including Charles Darwin and Alfred Tennyson, but two would die in suspicious circumstances. They were severely emotionally deprived. Their mother died in childbirth and Dr Marsden was self-absorbed and autocratic. In 1852 Marsden employed French born Célestine Doudet as a governess. Doudet came highly recommended, having once served as wardrobe mistress to Queen Victoria. Within weeks she had accused the doctor’s five young daughters of ‘self-abuse’. Marsden urged the governess to do everything in her power to ‘cure’ them, condoning the use of physical restraints and insisting on a rigid homeopathic diet aimed at decreasing sensuality. By the autumn of 1853 Marian Marsden and her sister Lucy were dead. Two sensational trials followed, but who was more culpable… the girls’ father or their governess? NOW RELEASED – buy on-line at Amazon UK, or The Book Depository UK. It is also available as an ebook. In stock in the UK at Blackwell’s, London, Oxford and Cambridge. Available in Australia at bookshops throughout the Blue Mountains and at Abbey Books in Pitt Street, Sydney. The wealthy and influential Julie Schwabe of Manchester (friend of Florence Nightingale) testified on behalf of the governess. I have published an article on this aspect of the case on the community site Middletonia. It contains information discovered after the book went to press. A very positive mainstream review appeared recently – click here to view. I have registered my interest and now I want to know if I can add it to my “want to read” on Goodreads. I looked but couldn’t find a record yet. I can add one, but don’t want to create havok by inadvertently creating multiple records. Nevermind! I just found it. I think I was being pre-coffee-stupid before. It’s now on my Goodreads lists! I really liked the sound of your book “The Water Doctor’s Daughters”. Went to buy it as an e-book but they said it was only available in the UK. Any idea when it will be available in Australia? Hi Christine, here is a link to the ebook on the Aussie Amazon site. Not sure why the URL is so long! Thanks Hunter, I really appreciate you taking the trouble to leave a comment. Just needed to check……is this a true story. Certainly is true, Chris….yes, fascinating story, albeit very sad.